For many of us, greens bring guilt. Guilt for not eating enough of them and guilt for them going bad (are there sad little cucumbers or eggplants in your crisper, too?) How many of you buy greens and don't use them fast enough? It happens to a lot of us- in my household of two, my husband and I didn't consume them fast enough either. So I did some research, and it turns out that the average family of four wastes about 25% of the food they buy. 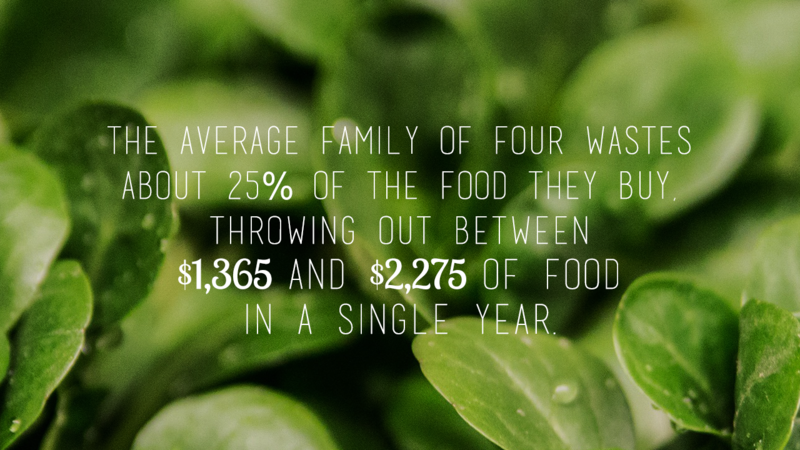 They throw out between $1,365 to $2,275 of food in a single year. That's crazy! There is actually an extraordinary reason why I found myself with a surplus of veggies this week. One of my very good friends Gary, who is an organic farmer, gave me a box of vegetables. While it was amazing, it was also way more food than we typically use. On top of that, I was running around a lot so I didn't have time to prepare many meals. Unfortunately, some of the vegetables went bad. Throwing them out reminded me of having to dispose of a lot of veggies over the years whenever I would go on a health kick. You know those weeks when you swear this will be the week and you stock up on only good, clean foods at the grocery store? And by Saturday...you have a wilty fridge-full of things you didn’t eat? To prevent the unnecessary veggie disposal, I've found a convenient solution that provides 5-6 servings of greens (which smells amazingly like sweet purple alfalfa flowers!) into our everyday routine. I recommend implementing some type of greens powder (makes sure it doesn’t have artificial ingredients and it is cold processed) into yours, not only because it's easy on the budget and convenient but also because it's healthy. If your family isn't into smoothies, you can sneak it into PB&J sandwiches or pancakes, morning oatmeal, etc! A lot of people even mix it into water! This will allow you to buy smaller amounts of better-quality vegetables to intentionally include into your meals- remember to buy the organic stuff to get more nutrients for your buck! For even more stats on food waste, check out this article.